This entry was posted in Writing and tagged Camp NaNoWriMo, Editing, Goals, Inspiration, NaNoWriMo, National Novel Writing Month, Word Count, Writing, Writing Process. Hey, thanks for the link! 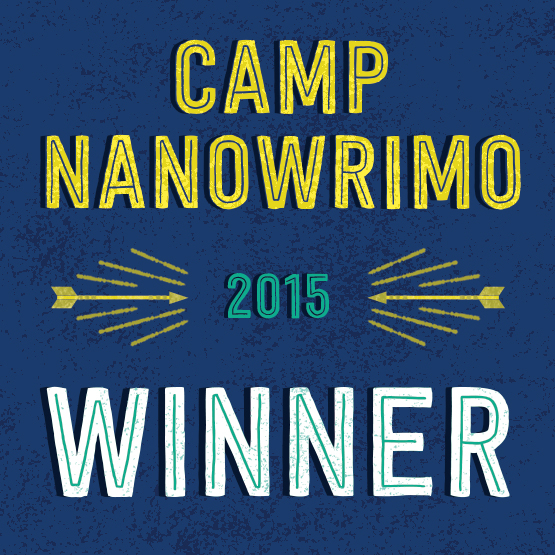 I may have to try Camp NaNoWriMo next year, but I’m gearing up for my second try at NaNoWriMo 🙂 Happy writing! Congratulations! I’m glad Camp was so successful for you. Thanks! I’m hoping for as good a report in November.